This month we have a number of social events on campus. 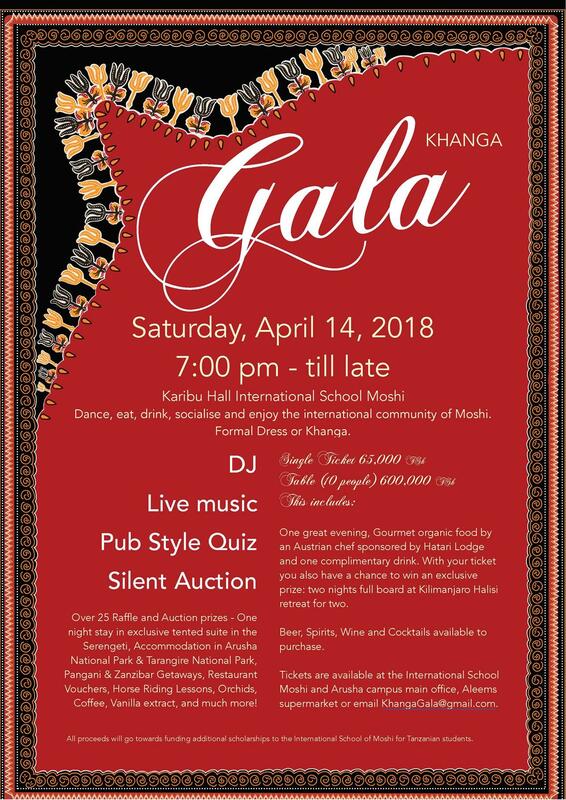 On Saturday the 14th, we have the Khanga Gala to fund scholarships for Tanzanian students to enter the Diploma Program at ISM. This event has been organized by the PTA and promises to be a fun evening. From what I hear, there are only a couple of tickets left, so If you have not bought one, you better act really quick. 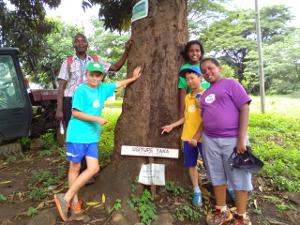 In addition to food and dancing, there are over 40 raffle prizes and 20 live auctions that feature travel to all over Tanzania among other items. Then the following weekend ISM will celebrate Earth Day by having a community event at the newly redesigned garden. This will be the kick-off in turning the garden designed by our primary students into reality. 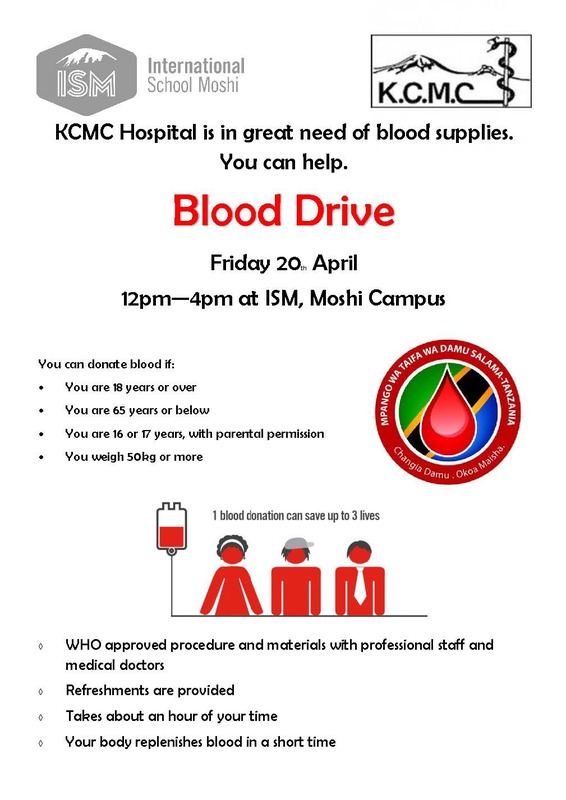 Those are not our only events, we also have the Secondary Sports Banquet, the KCMC blood drive and the Farmers’ Market. This month our D2 students will finish their studies and start their exams, the last day of school for these students is Friday April 20th and the exams start one week later. Please do not forget there are two holidays in the next month. Thursday April 26th is Union Day and Tuesday May 1st is Worker’s Day. For both of these days, there will be no classes. Unfortunately for the D2 students, there are exams on the May 1st date. Sunday 22nd April marks Earth Day. This year we will celebrate by bringing together the ISM community to work on our Community Garden. We do hope you and your family will join in with this initiative. We are asking adults and students to meet from 11am to help plant saplings and seeds, to dig, to weed, to clear, to install our new bee hives, to create our compost area, to build a living meditation dome, to build seating and play equipment and more. There will be music, a barbeque, face painting, children’s games and a treasure hunt. So do come along and join in. Wear your old clothes and a pair of boots; it’s going to get messy. If you have some gardening tools or watering cans, bring those along too. Don’t forget that on Friday the 20th, we have our next Farmers’ Market. This week the D2 students were sent their upcoming 3-week exam schedule with exact test times for the exams on April 30th through May 18th. In preparation for graduation, the D2s began work on their attractive graduation banner which will hang above the stage for the May 19th graduation. Please remember that the night before graduation there will be a graduation banquet for graduates and their family at AMEG Lodge at 6:00 pm. Our D1 parents should do all they can to attend the end of year parent-teacher meeting on June 14th. 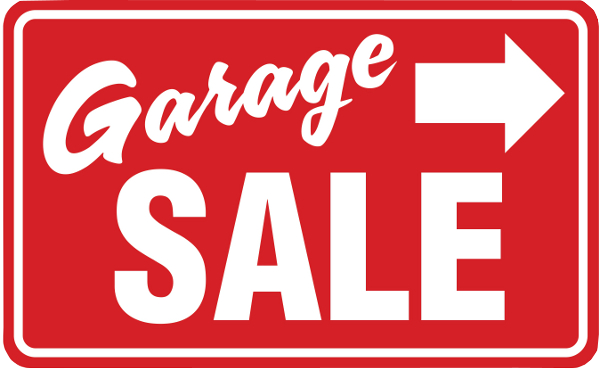 The ISM Brownie Guides will be organising a garage sale on Saturday, May 12th, from 10 am to 1pm. You can support this event by hiring a table to sell your goods or by coming to buy from the stalls. Refreshments will be on sale throughout the morning. Tables must be paid for in advance at the main school office. The price for a table is 20,000 TSH. Please see Deborah Mills, P5 teacher, (deborahmills@ed.ismoshi.com) if you have any questions about this event. To students in M5 and D1, the following UWC Short Courses are coming up soon. If you are interested in applying please look at these websites and if interested complete the applications. For more information, please contact Gemma May. During the holiday new GPS devices were installed in all ISM student used vehicles. These devices will allow us to track, in real time, the location of vehicles while out on events like OP or sports trips. It also allows us better safety tracking abilities regarding driving and maintenance. On Wednesday April 11th, there will be two informational sessions for parents who would like to know more about ManageBac and the information they can access. The sessions will be at 7:45am and 7pm. Boarders returned to school on Tuesday 3rd April for the final quarter of the year, and are all settled. The Diploma dorm Kipepeo has been under renovation since last month. The common room, kitchen and individual rooms are being refurbished, and should be ready by next school year. The students will get a sneak preview in the next few weeks. The D2 boarders are going through their final motions before they start their exams at the end of the month. All boarders are expected to furnish the school with medical information. This information can be provided in a prescribed medical form that can be downloaded from our website. Parents are reminded to fill this form and send it to us if they have not already done so. The ISM Sports Department cordially invites all coaches, parents, teachers and students to its annual Sports Award Evening. This event is a celebration of our student athletes, teams and coaches. The event will be held on Tuesday April 17th at 17:00 in the ISM Dining Hall with dinner. The Awards Presentation will begin at 17:45 in Rafiki Hall. Tickets for this event are 10,000 Tsh and are avaiable at the door. Welcome back to the final push towards the end of the school year. The ISM Sports Department looks to close out the year on a positive note. The children have made an enthusiastic start to Quarter 4. They have selected their afternoon clubs which will start on Monday. A slip was sent home on Friday, giving the details of these. Meanwhile, the P6 children are making good progress with their Exhibition research and PYP action. They are ready to deliver their whole school assembly on Monday. The EC children have started their new unit about art, culture and storytelling. The P1 – P5 children are now midway through their units of inquiry. Reminder: Please ensure your child keeps a hat and a pair of indoor shoes at school. Please make sure they have a water bottle and a healthy snack with them every day. Advanced Notice: From 11am on Sunday 22nd April we invite all families to take part in our community garden initiative here on campus. Advanced Notice: From 7.35am on Monday 21st May the Primary School will present a special Muffins for Mums and Dads Assembly. Story-telling and the arts associated with it have been with us since our earliest days on the planet. Much as in Jungian theory we can find similar themes, stories, tales and legends popping up in very different parts of the world, and from seemingly very different cultures. We will be looking into seven of these story types, or ‘archetypes’. Each week we will take one, and combine it with a particular type of storytelling. This coming week is The Quest. In these types of story we see a character going on a quest for something and returning with new knowledge. We will combine this with learning a little more about how stories would be told through ancient cave art. Our Learner Profile attribute for this week will be ‘Risk Taker’. 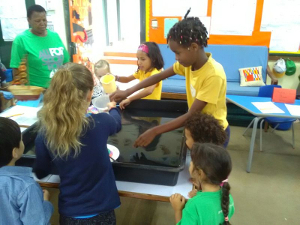 Reading, writing, maths and art activities will all be based around these three focal ideas as EC continues on our quest to find new knowledge and tackle ‘big’ ideas in fun and accessible ways. In our quest to learn more about natural resources, the children looked at how humans cook their food. They began to look at how the use of wood, coal, gas and electricity for cooking, impact the environment. They also examined how the action of making bio-briquettes conserve our natural resources. Next week, we will be looking at how humans grow their food. Do they use chemicals that will ultimately destroy our natural resources or do they grow crops in a ‘safer’ way? We are looking forward to a visit from Mama Janieck who will share with us some useful information concerning this. In Maths, the children were tallying data and creating block graphs using their collected information. They reviewed how to interpret their data looking at the most and the least, as well as how many more one was from another. Next week they will be looking at pictograms. Clubs will begin next week, please check to see which clubs your child has signed up. 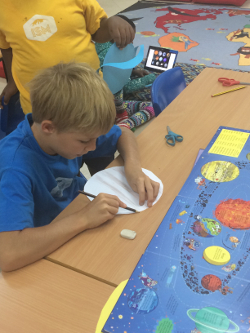 This week the children will be looking inquiring into similarities and differences between earth and other planets. They will be continuing their planet flip book and finishing off researching about the solar system. The children will be bringing home a solar system game that they can play with the whole family. In reading the children have chosen their interest groups and are busy reading and researching with them. In writing the class will be working on producing a whole class book all about the solar system. Please encourage them to research at home if they want to. I hope all of you enjoyed the Easter break. 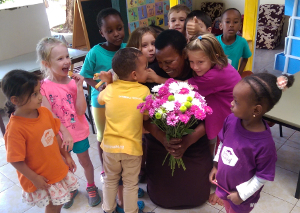 The children returned full of news and excitement about their holidays. This week the P5 class welcomed Noreen, a new boarding student. In maths the children have worked on probability. They have also considered the role of a government and have started to research the new vocabulary we will use in this unit. Next week we will begin working on shape in maths. For Unit of Inquiry we will consider why we have rules and laws and what life would be like without them. We will start researching different forms of government such as monarchy, dictatorship, republic etc. and also consider what life is like where a state of anarchy exists. In art we will focus on graffiti and how it has been used as a medium for expressing messages about human rights and social justice. 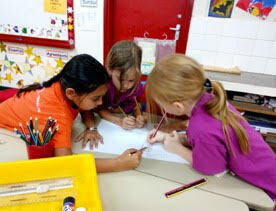 The P6 students are getting back into Exhibition mode and are working very hard towards meeting goals they have set. This is our 4th week and we are well into the Exhibition unit sorting out the information collected. Well done to the students that continued their inquiries during the break. We have enjoyed listening to the holiday news and appreciate the support you continue to give your child towards having a successful Exhibition. We would also like to invite you to our whole school assembly this coming Monday, 9th April, from 7:40 a.m. in K-Hall. The P6s will be sharing their Exhibition experience so far, with the rest of the school community.